1 Year Lease Available In Prime Morrison Area Of South East Oakville. 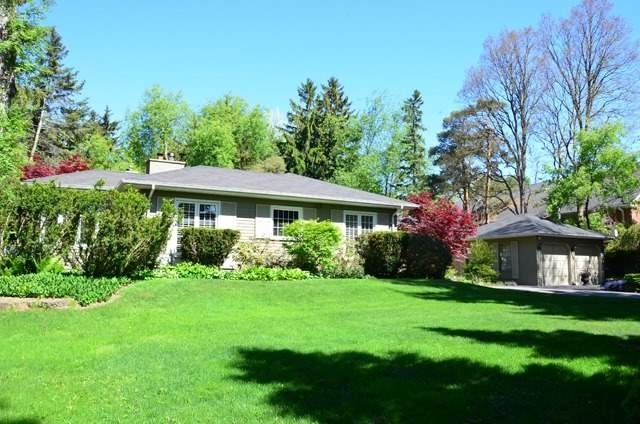 Renovated 5 Bedroom Bungalow Features Open-Concept Kitchen-Family Room With Adjacent Sunroom Opening To Glorious Garden, Master Suite Has Walk Out To Deck & Garden Plus Renovated Ensuite Bath. Formal Living Room & Dining Room And Library. Finished Lower Level With Recreation Room, Sauna, Wine Cellar & Walk-Up To Garden. Detached 2 Car Garage With Storage. Almost 3000 Square Feet On Main Plus 2100 Square Feet In Lower Level. Available Nov 1st! Don’t Miss Out! Inclusions: Stainless Steel Miele Dishwasher, Garburator, Viking Cooktop, Subzero Fridge, Stainless Steel Dacor Microwave, Stainless Steel Dacor Wall Oven, Stainless Steel Dacor Warming Drawer, Electric Light Fixtures, California Shutters, Ceiling Fan, Central Air Conditioning, Alarm System, Washer & Dryer.